The Rome Film Fest will feature the third Italian film of the Official Selection: tomorrow, Wednesday October 19, the premiere screening of Maria per Roma, the first full-length feature film by Karen Di Porto, will be held at 10:30 pm in Sala Petrassi. The film brings to the big screen the story of a day, from the earliest hours in the morning to nighttime, in the life of Maria (portrayed by Karen Di Porto herself), a confused but dynamic young woman who aspires to a career as an actress but gets lost in the daily chaos of the city of Rome. “I got the idea for the film a few years ago, at the end of a long and exhausting day, when I recognized the possibility of talking about Rome through a day in the life of a single character – said Karen Di Porto. Borrowing from my own biography, I tried to describe the conflicting pressures of a city, evoking the atmospheres and tensions, beauty and hard work, antiquity and sense of emptiness, obstinacy and approximation”. Three other films in the Official Selection are also on the schedule. At 8 pm, Sala Petrassi will feature the screening of Noces by Stephan Streker, freely inspired by the “Saida case” in Belgium in 2007: Zahira, 18 years old, is close to her family until her parents ask her to follow Pakistani tradition and choose a husband. Torn between family customs and her Western lifestyle, the young woman turns for help to her brother and confidant, Amir. At 9:30 pm, in the Teatro Studio Gianni Borgna, La caja vacìa by Claudia Sainte-Luce will be shown: it is the story of Toussaint, a sixty-year old Haitian who moves to Mexico City to live with thirty-year old Jazmin. Toussaint has never been a loving father and is practically a stranger to Jazmin. This forced cohabitation changes both their lives. Hell or High Water by David Mackenzie (Sala Sinopoli at 10 pm) is part of the “Everybody is Talking About It” section of the Official Selection. “The story of Hell or High Water is, at first glance, a simple one – explains the director. Two brothers go on a small-town bank-robbing spree, only to be doggedly pursued by a legendary Texas Ranger on the eve of his unwanted retirement. But underneath its two interlocking plot strands lie currents that delve into family, masculinity, loyalty, and the way a new world of faceless greed is colliding with an Old West of rugged individualists”. The cast includes Jeff Bridges, Ben Foster, Chris Pine. 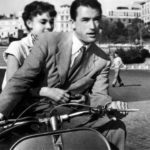 As part of the tribute to Gregory Peck, at 6:30 pm the Casa del Cinema (free admission) will hold the screening of the documentary A Conversation with Gregory Peck by Barbata Kopple, followed by an encounter with Cecilia Peck Voll and Anthony Peck, promoted by the Peck family and Crescentera Productions. At 9:30 pm, Cesvi and the Rome Film Fest will hold an event at the MAXXI dedicated to the problems of food safety, racism and immigration as told in film. During the event, three short films will be screened about the right to food, made for Cesvi by Antonietta De Lillo, Virginia Eleuteri Serpieri and Luca Ferrari, prestigious Italian documentary filmmakers and visual artists. This will be followed by the screening of the documentary ‘Who Am I?’ by actor Nick Reding. At the end of the screenings, the directors, along with Daniela Bernacchi, CEO of Cesvi, Luca Alinovi, Executive Director Global Resilience Partnership, Nick Reding and Francesca Marciano, screenwriter, will hold a panel discussion moderated by Mario Sesti. At 7:30 pm, also at the MAXXI, the screening of Primary by Robert Drew (the American Politics retrospective) will be introduced by journalist and director Paolo Aleotti. As part of the same retrospective, the Casa del Cinema, at 9 pm, will host the screening of Advise and Consent by Otto Preminger. At 12 noon at the Teatro Studio Gianni Borgna, the Rome Film Fest has organized a special screening of Spes Contra Spem – Liberi Dentro, with the participation of the Hon. Gennaro Migliore, Undersecretary of Justice, Simona Vicari, Undersecretary of the Ministry of Infrastructure, filmmaker Ambrogio Crespi, Sergio D’Elia, secretary of Nessuno Tochi Caino and producer of the film. Spes Contra Spem – Liberi Dentro is an intense, emotional docufilm, shot in the Opera prison in Milan: it focuses on the prisoners serving a life sentence, and the agents of the Penitentiary police. For the retrospective dedicated to Tom Hanks, Studio 3 will feature screenings of The Terminal by Steven Spielberg (at 6 pm) and Charlie Wilson’s War by Mike Nichols (at 9 pm). The retrospective dedicated to Valerio Zurlini continues at the Cinema Trevi movie theatre, curated by Domenico Monetti and Mario Sesti in collaboration with the Centro Sperimentale di Cinematografia – Cineteca Nazionale. Three films will be screened: Le soldatesse (Women at War), Come quando perché (How, When and With Whom), and Seduto alla sua destra (Black Jesus). The programme of Alice nella città features the screenings of Kubo and the Two Strings by Trevis Knight (at 11 am in Sala Sinopoli) and Goodbye Berlin by Fatih Akin (also at 11 am in the Mazda Cinema Hall). Every year the Rome Film Fest spreads throughout the city: the following is the day’s programme of repeat screenings. At the Sala Sinopoli in the Auditorium Parco della Musica, the featured film will be Manchester by the Sea by Kenneth Lonergan (at 7:30 pm), whereas The Secret Scripture by Jim Sheridan (at 5:30 pm) will be shown in Sala Petrassi. Goldstone by Ivan Sen (at 3 pm) and Naples ’44 by Francesco Patierno (at 5 pm) will be shown in the Teatro Studio Gianni Borgna. In the Cinema Village, the Mazda Cinema Hall will feature the screenings of Kubo and the Two Strings by Trevis Knight (at 2:30 pm), Captain Fantastic by Matt Ross (at 5:30 pm), The Accountant by Gavin O’Connor (at 8 pm), Hell or High Water by David Mackenzie (at 10:30 pm). The Farnese Persol theatre will feature the repeat screenings of: Land of the Little People by Yaniv Berman (at 4 pm), Naples ’44 by Francesco Patierno (at 6 pm), The Long Excuse by Miwa Nishikawa (at 8 pm) and Goldstone by Ivan Sen (at 10:30 pm). The programme at the Admiral movie theatre will present Boy on the Bridge by Petros Charalombous (at 4:30 pm), Goodbye Berlin by Fatih Akin (at 6:30 pm), X500 by Juan Andres Arango (at 8:30 pm), In bici senza sella (anthology film, at 10:30 pm).